If you’re like most small business owners, your days are consumed with many tasks that have nothing to do with why you started your company in the first place. If marketing is in this category, you’re not alone. Many small business owners have little experience as marketers. The good news? You know more than you may think you do. Your passion for your business means you’ve already got the vision you need to market your company. What you might lack is some practical know-how. This ebook breaks down the marketing landscape into eight manageable steps. It is written by experts who know the ins and outs of online and offline marketing. Feel free to proceed in order, or skip around to where you need guidance or practical tips. At its most basic level, marketing spreads the word about your business. Establishing an amazing business is merely the first step. To interest customers enough to attract them to your products or services requires marketing. 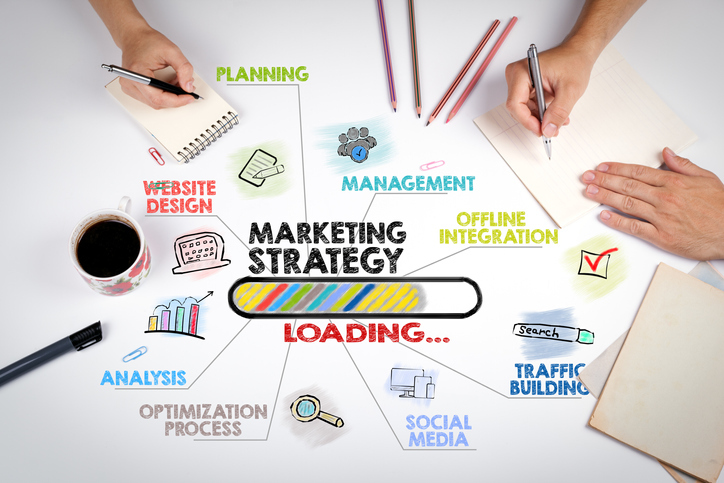 Marketing takes many forms, from business cards to websites to television advertising, and everything in between. Even word-of-mouth, which many small businesses rely on, is itself a form of marketing. Marketing informs. Marketing educates current and potential customers about your business and how it serves a need they have. Marketing engages. It’s one thing to offer a superior in-person experience or a frictionless online shopping journey. But marketing makes sure your business remains in people’s minds after a transaction is over— and before they need you again. Marketing builds reputations. Because marketing spreads the word about your business, it’s a major factor in your business’ reputation. Strong, professional marketing indicates to people, even if subconsciously, that you’re a reputable business. The connection is undeniable. Marketing sells. Even the most passionate business owner needs to make money. Marketing draws attention to what you’re selling so that people can buy it. Marketing grows businesses. This final function is partly the culmination of the first four. If you successfully educate customers, keep them engaged, create a strong reputation in their minds, and regularly sell to them, your business will most likely do well. On top of that, most (if not all) businesses thrive on the acquisition of new customers. Marketing is how you attract those customers in the first place.